Despite deeping poverty and environmental degradation throughout rural Latin America, Mayan peasant farmers in Chiapas, Mexico, are finding environmental and economic success by growing organic coffee. 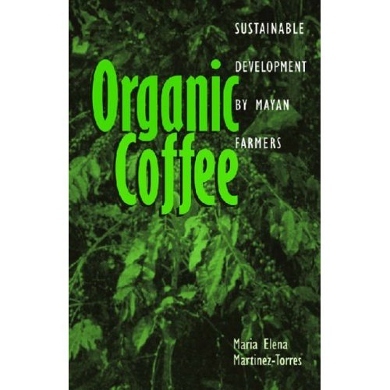 \\"Organic Coffee: Sustainable Development by Mayan Farmers\\" provides a unique and vivid insight into how this coffee is grown, harvested, processed, and marketed to consumers in Mexico and in the north. Maria Elena Martinez-Torres explains how Mayan farmers have built upon their ethnic networks to make a crucial change in their approach to agriculture. Taking us inside Chiapas, Mexico's poorest state and scene of the 1994 Zapatista uprising, she examines the anatomy of the ongoing organic coffee boom and the fair-trade movement. The organic coffee boom arose as very poor farmers formed cooperatives, revalued their ethnic identity, and improved their land through organic farming. The result has been significant economic benefits for their families and ecological benefits for the future sustainability of agriculture in the region. \\"Organic Coffee\\" refutes the myth that organic farming is less productive than chemical-based agriculture, and gives us reasons to be hopeful for indigenous peoples and peasant farmers.